Thank you for purchasing eVIEW Induction Heating Software; bring your process heating data to life with real-time capturing, graphing and exporting. 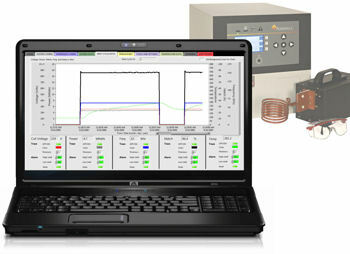 Your eVIEW Induction Heating Software works with one system per purchased license. When you first launch eVIEW, you will be prompted to provide a key which Ambrell provides to you after registration. In order to provide the correct key, we require this unique ID#. ...and we need a secondary contact in case your details change. See opening screens at power-up or navigate to 'SYS STAT'...five digits only!